Rental includes choice of 2 buckets for no additional charge. More buckets are available for additional rent. 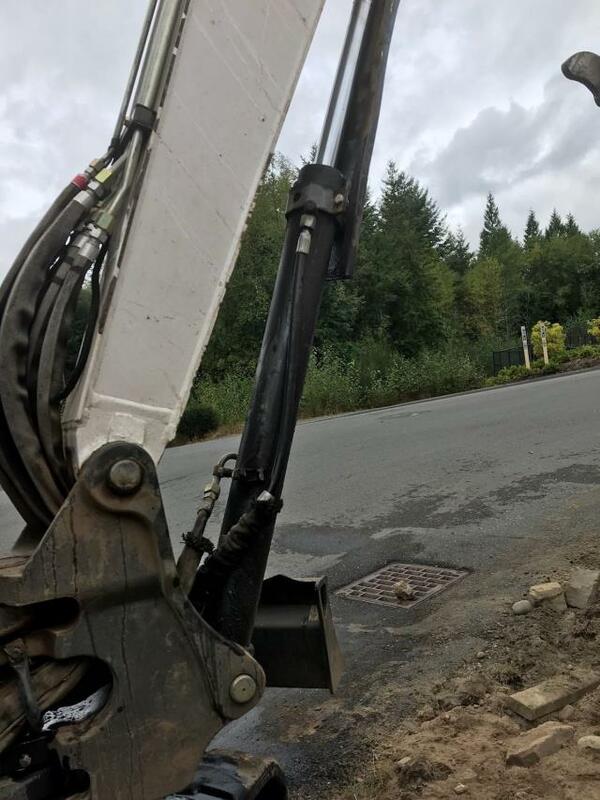 Zero Tail Swing mini excavator Bobcat E35 ZTS with, Thumb, Hydraulic X change for buckets & Rubber Tracks. Boom Swing Left: 75 deg. Boom Swing Right: 55 deg. American Made: The Only One! 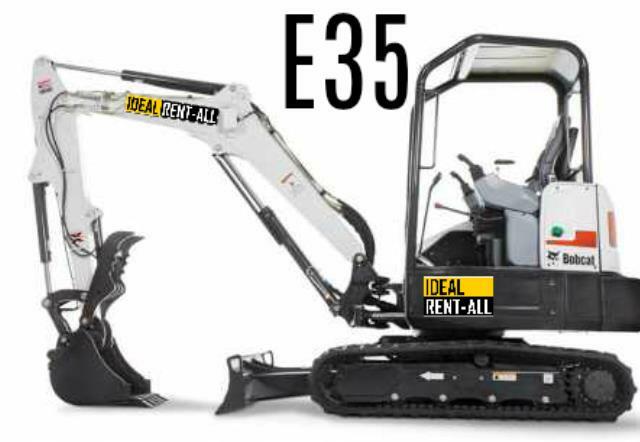 Bobcat is the only company that manufactures compact excavators in the United States from West Fargo, ND.